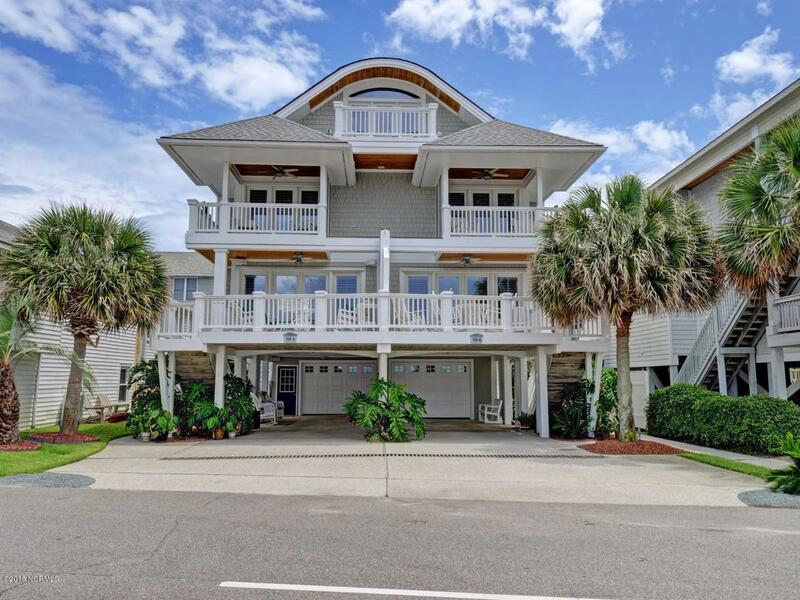 Paradise awaits you on Banks Channel in Wrightsville Beach. This gorgeous sound front condo, fully furnished & updated, presents coastal living in luxury. The ideal setting for watching the sun set. Ground Level has a closed in garage/storage area, outdoor shower, ample parking. 1st Level includes hardwoods & tile flooring, BDR, Full BA, open kitchen with granite, new stainless appliances, eat at bar. Dining area opens to living room, gas fireplace, windows & doors lead to covered deck showcasing panoramic water views & coastal breezes. 2nd Level includes BDR, Full BA, spacious Master En Suite, private deck, the coveted spot to enjoy the holiday Flotilla, 4th of July fireworks. Your oasis has a private sandy beach, newly built community dock & 30 ft boat slip.Stroll to the beach. Feel the sand between your toes. Let the waves serenade you. Welcome home.